LP Hartley's The Go-Between — a heartbreaking story of forbidden love and loss of innocence — is a timeless classic. Sadly, it just isn't the right material for a musical — not even one starring Michael Crawford. Nonetheless, the Apollo Theatre's production team has given it a good crack. The music, by composer Richard Taylor, is first rate - evocative and varied. It also plainly demands huge range and control from all the performers and the singing never disappoints. Michael Crawford (as Leo) has some tough moments but sails on through and Gemma Sutton's performance as Marion is vocally superb. The set is great too, a static array of grandiose country house architecture gone to seed. It is mostly well used to convey the complex twists and turns of the story, although a fair amount of tiring interpretive movement spoils some key moments. There's no getting away from the fact, however, that the subtlety and emotional intelligence of Hartley's novel is reduced to saccharine melodrama in musical form. 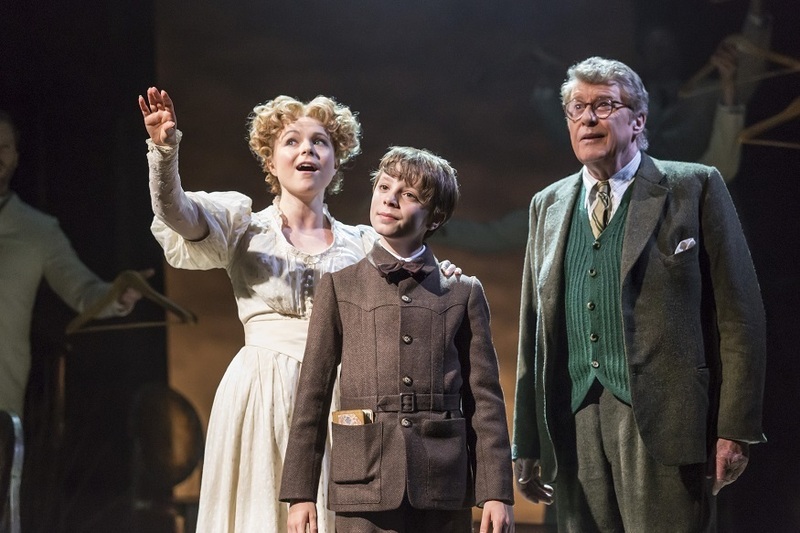 The set lends itself to moments of high drama through clever changes in lighting, Michael Crawford is a powerful enough presence on stage and the young boys playing Leo (William Thompson) and Marcus (Archie Stevens) are excellently cast little Lord Fauntleroys. However the many good elements of this play just don't add up to a satisfying whole. Crawford ambles around the stage surveying the action but his dewy-eyed nostalgia gets boring after a while. The love story between Ted (a brooding Stuart Ward) and Marion is is mightily confusing at the end and the heightened melodrama strips it of much of its emotional power. Many key moments are lost in either cheap laughs or overblown posturing to get the point across. The story would, and has, made a much better play, film or TV adaptation. Musical just isn't the right genre for intense, psychological narrative of this kind. The Go-Between is on at the Apollo Theatre, 31 Shaftesbury Avenue W1D 7EZ. until 15 October. Tickets from £19.50. Londonist saw this show on a complimentary ticket.